Far too often there’s a feeling of arriving home from vacation in need of more time off. Sometimes this is a hangover from our holiday excesses, but often it’s because we haven’t addressed the reason why we took a vacation in the first place — to get away from it all. Carving out some time to decompress can be difficult on a city break, so we’ve searched the globe for eight havens where one can escape from civilization. Patagonia is an area of such vast, inspiring scenery that Ferdinand Magellan thought it home to a tribe of giants in the 16th century. 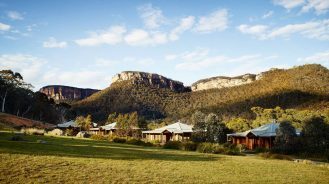 While these monsters have remained elusive, visitors to Llao Llao Hotel & Resort can at least console themselves with the colossal welcome they’ll receive. Wellness is at the very core of this exclusive hideaway, with nature, golf, and spa-style luxury blending to create a world-class retreat. 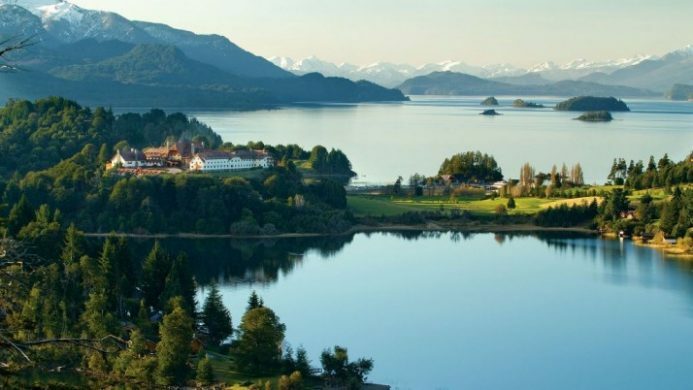 Llao Llao is a destination for all seasons, sparkling with a slate of outdoor activities that includes mountain biking, golf and snowboarding. 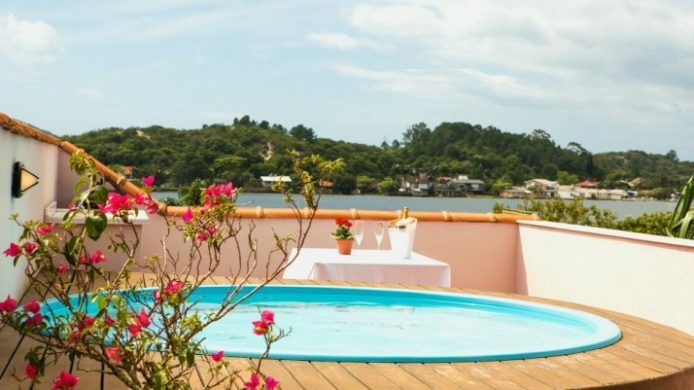 While the tasteful hallmarks of a colonial past are all present in Florianópolis, we’re more taken with the area’s rolling hills, gorgeous beaches and crystal clear lakes. In this aesthetically rich corner of the globe, Quinta das Videiras still manages to capture the eye with a striking pink facade. The boutique hotel has only 11 individually decorated suites, but the impressive spa belies its small stature. The Acquarose Spa appears to be borrowed from a much larger resort with its breadth of bespoke treatments. Located just under an hour from Dubai by car, Waldorf Astoria Ras Al Khaimah is a setting fit for royalty. 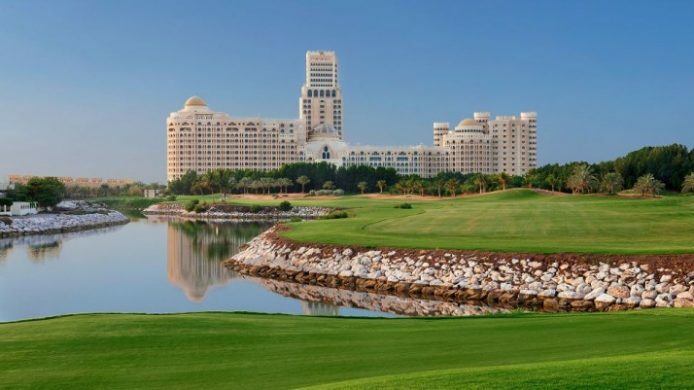 The resort is perched on a beautiful stretch of beachfront, with the lush greenery of the on-site 18-hole championship golf course appearing as if a mirage—it’s also floodlit for nighttime play. Design cues are taken from sultan’s palaces of old, but there’s nothing vintage about the amenities. There’s a large spa complex, Toni and Guy hair salon, desert safaris and watersports. The spa town of Merano has long been wellness center in Northern Italy, and Castel Fragsburg has played a starring role since 1624. 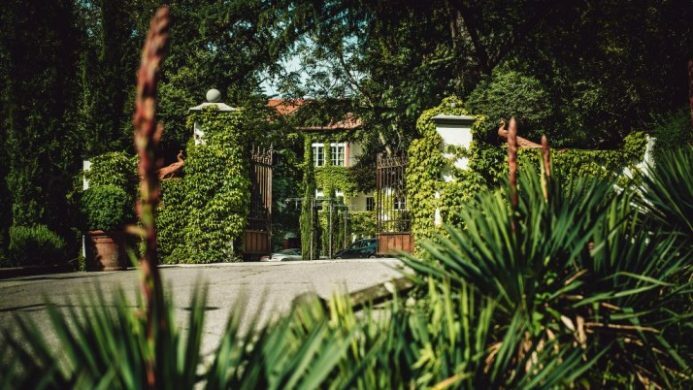 The Castel is South Tyrol’s smallest five-star hotel, and it affords tremendous seclusion due to its garden surroundings. Amid such lavish greenery, the energy of nature is harnessed at the first alchemistic Spa Castellum Natura. 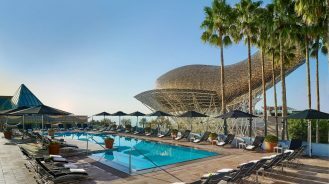 The spa is inspired by the ancient medicinal wisdom of herbalist Renate de Mario Gamper, and all of its nurturing essences stem from her recipes. Make sure to experience the larch-wood tub, which is used for goat’s milk and flower baths. 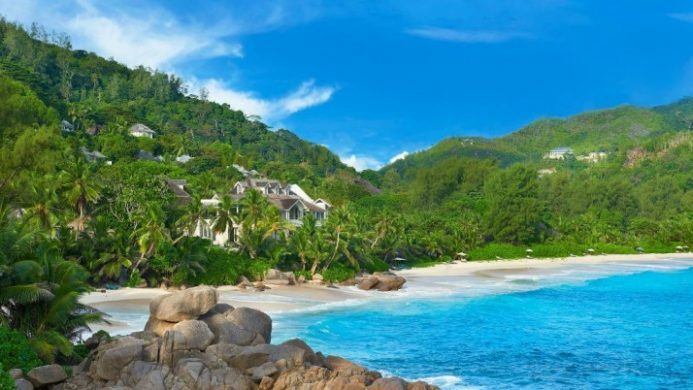 Swaying palms and tropical forests provide a gorgeous backdrop to the island seclusion at Banyan Tree Seychelles. This elegant resort was once the abode of Pink Panther actor Peter Sellers and Beatles’ member George Harrison, who both identified it as a refuge from their busy lives. 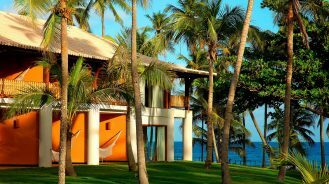 In recent years, the resort has undergone a painstaking renovation to create a spectacular sanctuary for the senses. Like each Banyan Tree resort, the spa is central to the experience and the focus is squarely on a non-clinical and holistic approach based on Eastern healing therapies. 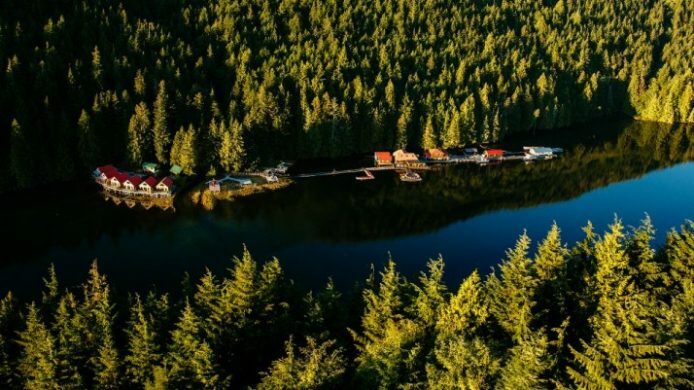 British Columbia’s rugged coast provides ample opportunity to escape civilization, but none are quite as breathtaking as Nimmo Bay Resort. Located seaside in the Great Bear Rainforest, it’s only accessible by air or water. Evergreen wilderness stretches as far as the eye can see as guests come into land at the resort’s private helipad — don’t be surprised if you also catch a glimpse of a grizzly bear. Each day at Nimmo Bay presents a new opportunity for an outdoor adventure, with kayaking, paddle boarding and whale watching all on the itinerary. 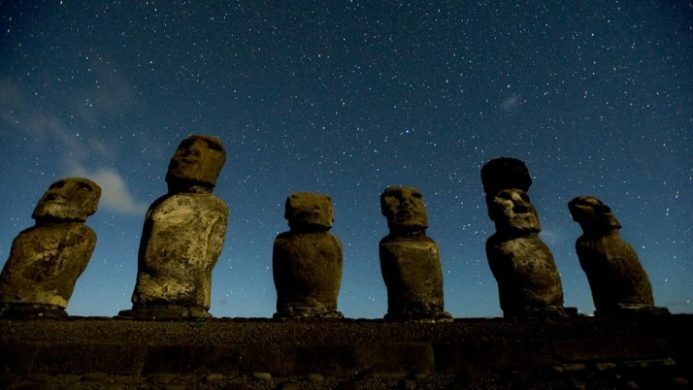 Thanks to its Moai carved stone statues and remote location, Easter Island has always maintained an air of mystery. To this day, the island’s icons continue to be excavated and their origin remains unknown. Explora Rapa Nui offers an all-inclusive base from which to explore this UNESCO World Heritage Site, and a hilltop setting that delivers panoramic views. Great lengths were taken during construction to minimize the impact on the delicate ecosystem, earning the resort LEED certification. All 30 suites are TV-free, and a swimming pool, Jacuzzi and massage hut take care of life’s stresses. Everything about Eremito – Hotelito del Alma is designed to regenerate and renew—its location, vibe, adult-only ethos. 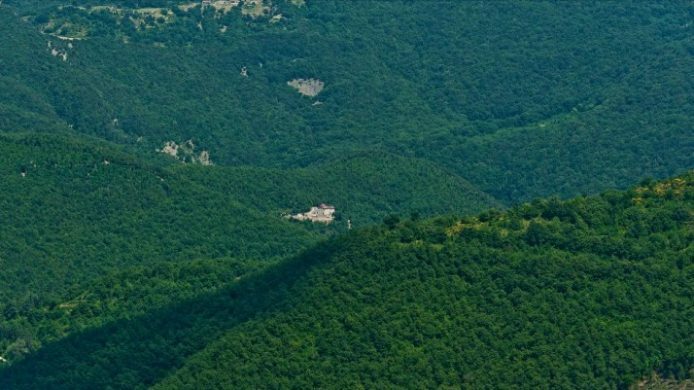 Located in rural Umbria, roughly two hours north of Rome by car, Eremito was once a 14th century hermitage whose ruins were lovingly restored to create a classic hideaway that radiates tranquility. Just 14 “celluze” are present, each resembling a monk’s quarters from ancient times. Dining at the hotel is a simple affair, with a fixed vegetarian menu drawn exclusively from the private, on-site garden.